Newegg, one of the biggest names in web-based marketplaces, has proven to be able to boost millions of ecommerce stores online and boost their sales and revenues. ChannelSale is one of the best places to seek assistance from, when you are seeking Pinnacle Cart Newegg integration services. With our sophisticated Pinnacle Cart Newegg app and other intricate software management tools, we can integrate the powerful Newegg platform into your Pinnacle Cart store in the most effective manner. If you wish to get your ecommerce store promoted across multiple channels, our marketing expertise and strategies can easily help you out. We ensure that the integration is carried out according to the norms and policies of Newegg. Other than integration services, we can also assist you with the management of your store. Whether you need automated product listing or shipping and order tracking management services, we can provide you with the same. What makes us a great option for you? We can offer you real-time inventory management, and also assist you with managing your online store. Whether you have single or multiple stores, we can assist you with the management process. Our Pinnacle Cart Newegg plugin can help you with data entry and data transfer, and ensure smoothness across each stage of the processes. We keep you updated with the selling prices of competing stores and know which products are selling more or less, so that you can get an accurate idea about the product performances. We sync your store offerings with apt Newegg product categories with the aid of granular level item category mappings and Pinnacle Cart Newegg extension. We can support your products regardless of the size, type or colour of your items, and whether they are simple, varied, kits, bundles or group products. By using our Pinnacle Cart Newegg connector, we can create a parent-child relationship when it comes to creating an association of Newegg product listings with your Pinnacle cart ecommerce store product listings. So wait no more! 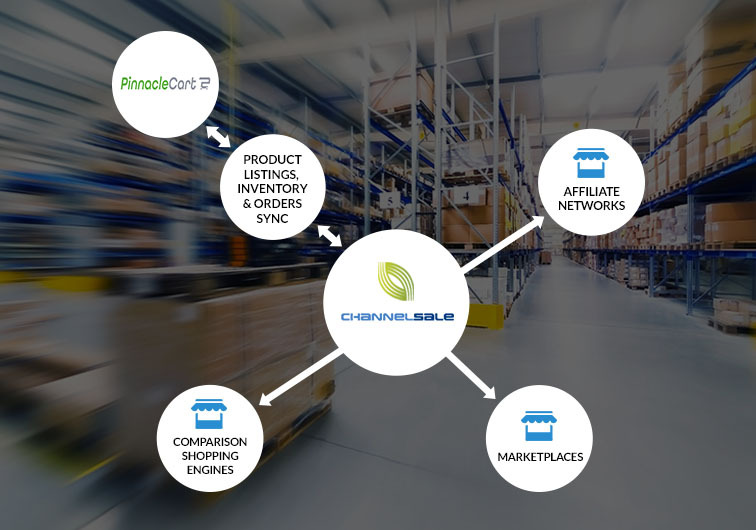 Get in touch with one of our ChannelSale Client Service Executives by sending us a mail at info@channelsale.com or giving a call on +1-866-709-9495 to make further enquiries about us or to talk about your Newegg integration needs.